The total number of female venture capitalists, and the amount of deals undertaken by these ceiling-breaking business women are increasing year after year. Things are changing for women in the business world, one previously conceived as male orientated, however, barriers still remain. Though despite these disadvantages, more women are joining prestigious venture capital firms, that support startup, than ever before. So, let’s catch up on the situation in 2019. We have created a list of women, in alphabetical order, who appear regularly in tallies of top investor lists. Cyan Banister: Flickr: Brian Solis, www.briansolis.com and bub.blicio.us. Cyan Bannister is a partner at Founders Fund and was its first female investor. She is a well-known seed investor in a number of startups and her investment portfolio includes DeepMind Technologies, acquired by Google for more than $500m in 2014, and Uber. Bannister’s not just an investor in startups, she’s personally walked the walk. She founded her own passion project in 2007, Zivity, an online platform for pin-up photography, and IronPort Systems, which was bought by Cisco in 2007 for $830m. 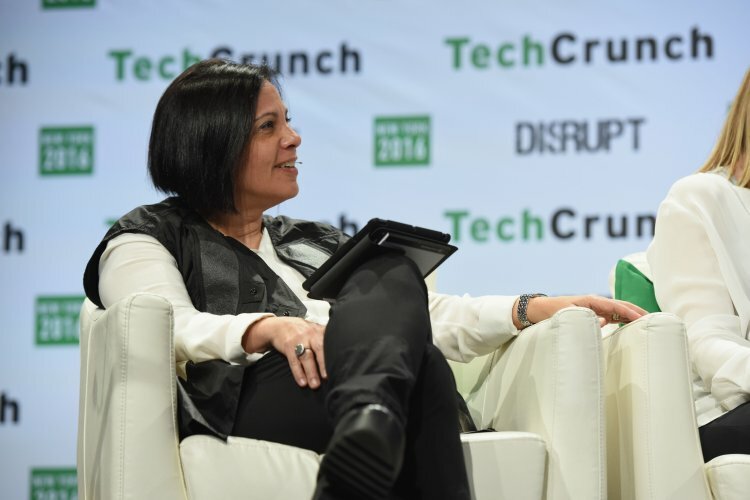 In 2018, at TechCrunch SF conference, Banister shared her story of being a homeless teen at 15 years old to her rise as a venture capitalist who has invested in startups like Thumbtack, SpaceX, Postmates, EShares, Affirm, and Niantic. 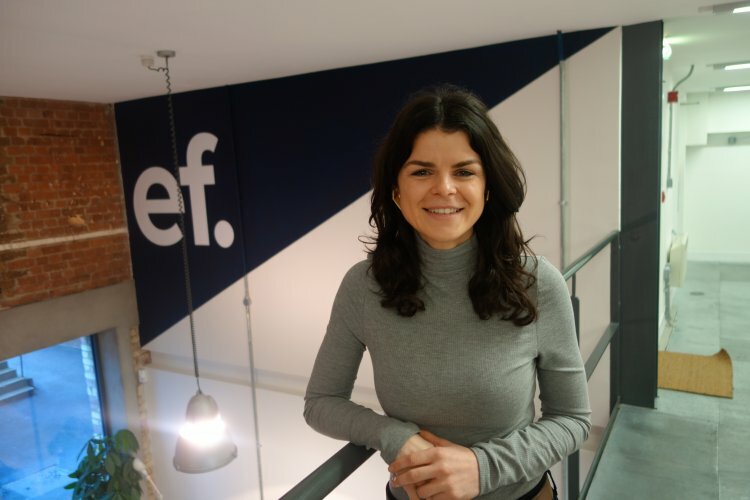 Alice Bentinck MBE is a co-founder of Entrepreneur First, which invests in technology startups in London and Singapore. Its investment portfolio lists 100 startups worth over $500m, including Magic Pony Technology, which was acquired by Twitter for $150m. She was ranked in Management Today's 35 under 35 and was awarded an MBE for services to business. She also co-founded the non-profit Code First: Girls, which helps women learn to code. Bentinck revealed on the blog site Medium that she's focusing on reading more about female leaders, particularly entrepreneurs. She has found common themes among some of the most inspirational women in politics, fashion and comedy, the most striking of which, she writes, is hard work coupled with resilience. "If they weren't currently the best, they would work hard to learn what it takes to be the best." In 2018, in an interview with The Times, Bentinck championed the idea of putting strangers together as co-founders to help build a company. Languages and technology combine to make Katja Bergman a formidable woman investor. Bergman is a partner at MOOR. She speaks several languages: Finnish, German, French, Swedish and English, and she holds an MSc in Engineering and an MBA from the University of Technology, Helsinki. She was a co-founder of Pipebeach, a digital tech startup, that was eventually acquired by HP. Bergman has many years' experience building global telecoms and internet technology businesses, having held senior business development positions at Nokia and Ericsson. Since then, Bergman co-founded the Swedish venture capital firm, Brightly Ventures, that invests in startups in the technology sector, along with Kersten Cooley. Based in London, Laurel Bowden focuses on investments in software (internet/mobile) and fintech through 83North, a Venture Capital firm, in Europe and Israel. Bowden has led investments in European technology companies, including Just Eat, as well as Hybris and Hybris Software, both of which were acquired by SAP and NotOnTheHighStreet. Her current investment portfolio includes BlueVine, Celonis, Ebury, iZettle, Mirakl, Wonga and Workable. Her angel investments include Fizzback (acquired by Nice Systems), Wix, FreeAgent and Secret Escapes. Just this year in Pitchbook, she affirmed that while 83North looks broadly for investments such as food-related companies (Just Eat) and security and data companies, its focus will always be technology and software related companies. It is naturally selective and provides seed investment from $1m to $15m. Bowden is also interested in new technologies such as driverless cars and artificial intelligence. In 2018, Bowden ranked 21st in Forbes’ Midas List Europe. With 83North, she helped the FinTech firm iZettle, which was acquired by PayPal for $2.2 billion in July of that year. 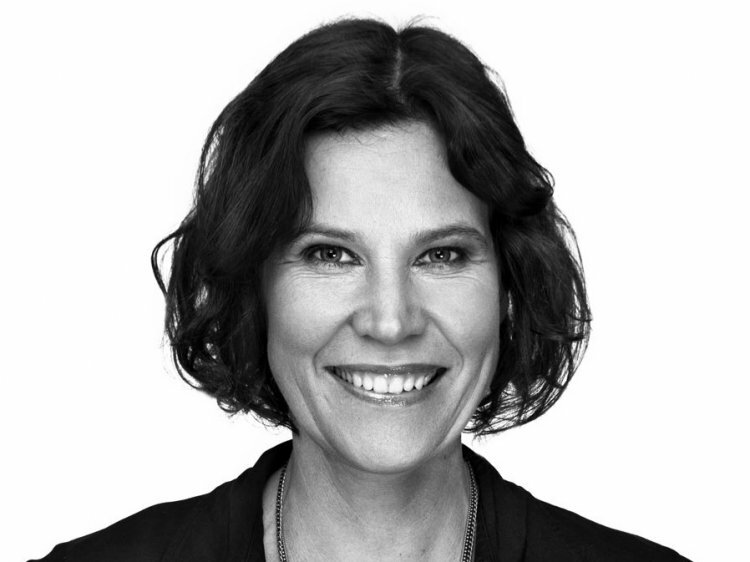 Ulla Brockenhuus-Schack is a managing partner at SEED Capital, Denmark's largest early stage venture fund. Brockenhuus-Schack is an entrepreneur and a former management consultant at McKinsey, with more than 20 years' experience working with innovation and business development across media and film. SEED Capital identifies, finances and develops innovative entrepreneurial technology and medtech companies. Every year it makes investments in 15 to 20 new growth companies. Presently, as well as her position at SEED Capital, Brockenhuus-Schack sits on the board of OrderYOYO; an online restaurant ordering system. 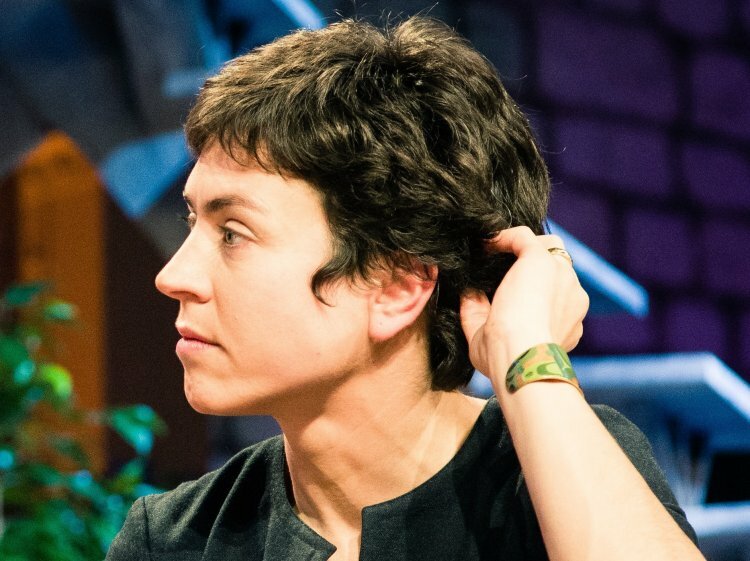 Ophelia Brown is another European venture capital star, who until recently was a general partner at LocalGlobe, where she helped to build its first institutional fund. Her investment portfolio included Beamery, CheckRecipient, Cuvva, Debut and Echo. Areas of interest are financial services, artificial intelligence and digital health, and she has a preference and passion for working with design-led teams and founders with strong product DNA. In 2016 Brown struck out in a new direction with a mentor programme called ALT (Ambitious Ladies in Tech). It matches senior functional leaders in technology startups with junior women to provide them coaching, skills development and networking. It now has 65 mentees and 130 mentors. In February 2018, Brown founded the early stage venture firm Blossom Capital, which invests in revolutionary technology companies. 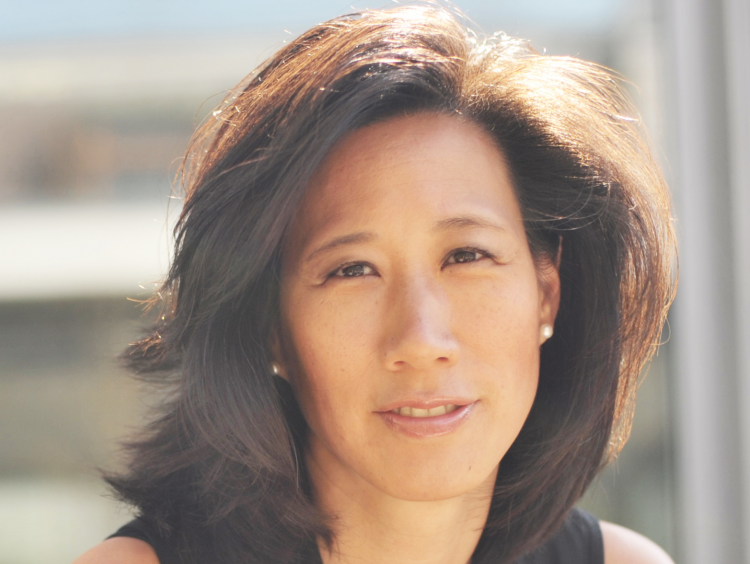 Eileen Burbidge has been an American in London for a long time. This woman investor is, according to Forbes, ‘one of London's most influential venture capitalists'. Burbidge is a partner at the European venture capital firm Passion Capital, which has funded 65 tech startups since its inception in 2011. In a 2015 Q&A with Forbes' magazine, she says: "What I've found is that every great entrepreneur has some driving ambition that fuels them. It's super-stressful to hire people, fire people, build a team, push through challenges and barriers, whilst competing with larger players. So, there has to be something that is emotionally anchored, deep-rooted and which will drive that founder through their most difficult days." She has worked in business and product roles, including at Yahoo!, Skype and Apple. Outside Passion, Burbidge also serves in the Prime Minister's Business Advisory Group and as fintech envoy for HM Treasury. In June 2015, she received an MBE for services to UK business. Burbidge has recently used her position to comment on sexism and harassment within her industry. 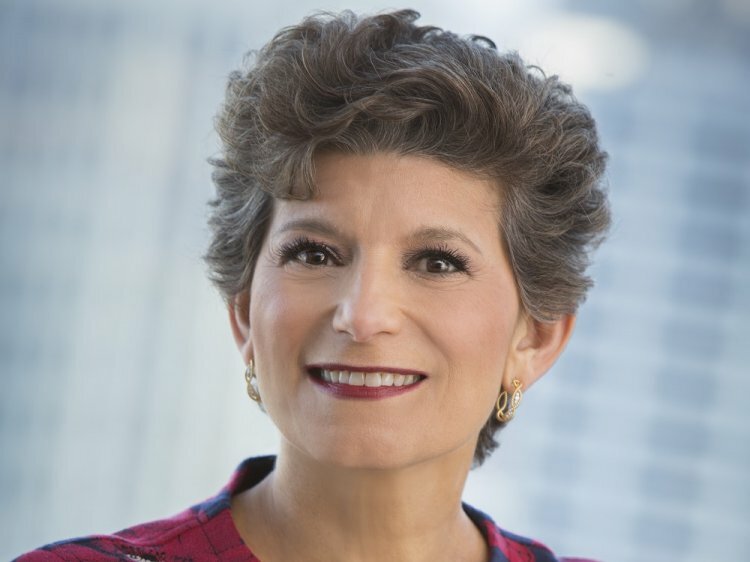 Debra Cafaro is CEO of Ventas and the longest serving CEO of an S&P 500 company. This former attorney has muscle when it comes to an investment portfolio focused on real estate. She is credited with turning around the real estate investment trust Ventas, which with Cafaro at the helm, is now valued at $30bn and owns 1,300 healthcare properties in the US, UK and Canada. Cafaro featured in the Harvard Business Review's Top 50 Best Performing CEOs in the World in 2015 and in 2016. Cafaro was also ranked 91st in Forbes’ Power Women list in 2017, but dropped off the next year. Annette Campbell-White was an early pioneer in healthcare and medical technology. Before retiring in 2015, she was the founder and senior managing partner at biomedical venture capital firm MedVenture, which invests in a number of new medical technologies and entrepreneurs. During her 30-year tenure, Campbell-White's investments resulted in successful IPOs or acquisitions at a value greater than $100m. This woman investor was featured in the male-dominated Forbes Midas List for three years from 2005 to 2007. Presently, she sits on the advisory council for the Harry Ransom Centre at the University of Texas. 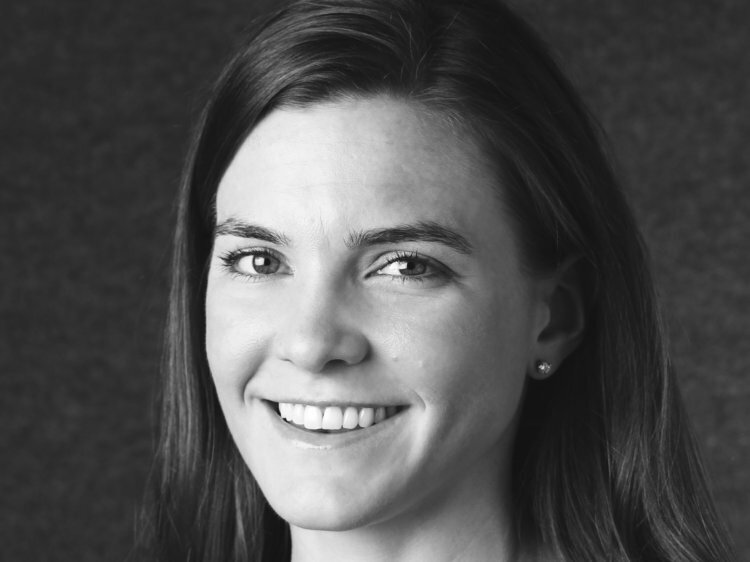 Ashley Carroll came to angel investing from a previous career as a product manager for SurveyMonkey and Optimizely, where she's now a partner. She initially joined Social Capital as an entrepreneur-in-residence and came to enjoy the advisory aspect of the work. After three months, she joined Social Capital as a partner, captivated by the firm's mission to solve the world's largest problems by investing in technology in sectors such as healthcare and education. Presently, she is an advisor for Sempre Health (where she previously served on the board) at the founders’ request, upon the dissolution of Social Capital. Abby Joseph Cohen, portfolio strategist at Goldman Sachs, is a Wall Street veteran and among the most powerful woman in the finance industry, according to the Forbes Most Powerful Women list. She started as an economist at the Federal Reserve Board in 1973 and joined Goldman Sachs in 1990. In 1998, she became a partner and is now president of the Global Markets Institute. After retiring in 2017, she continued to serve in an advisory capacity with the bank. Back in July 2018, Cohen warned that the US economy is approaching a point of inflection, expecting the rate of growth to decelerate. 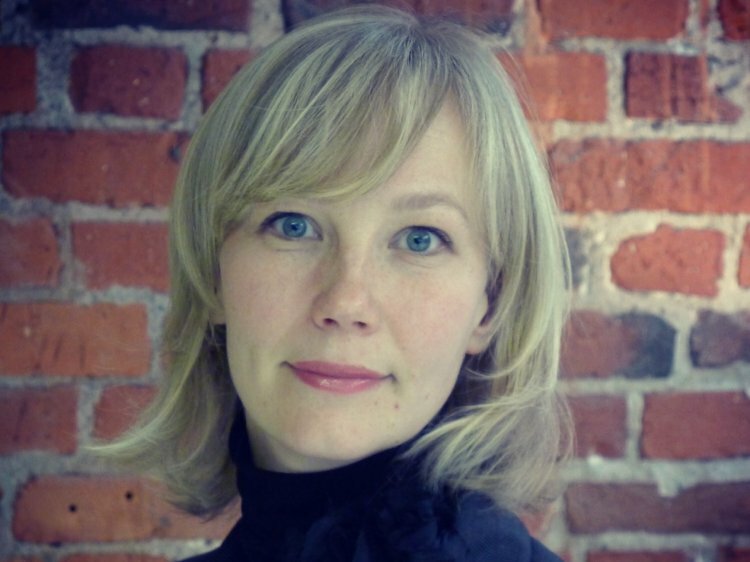 Kerstin Cooley founded MOOR, an early stage Swedish venture capital firm, along with Katja Bergmann. Based in Sweden and Finland, the firm focuses on digital innovation, and currently lists 12 investments. Cooley’s extensive experience encompasses her work with SEB investments in Sweden, with startup hedge funds in the US, and with Echelon, based in Silicon Valley, US. Additionally, this formidable woman investor also co-founded global integrated communications agency Cognito and was with Trema for eight years. In June 2018, Cooley left Moor but continues to work with Bergmann and they have since founded Brightly Ventures; one of the leading Nordic venture capital firms. Female investor, author and motivational speaker, Barbara Corcoran gained her fame a result of her appearance on ABC's Shark Tank. Her current total worth is $80m. A titan in the real estate business, she started the Corcoran Group through a $1,000 loan in 1973. The real estate company was also known for its annual real estate data trends analysis, The Corcoran Report. 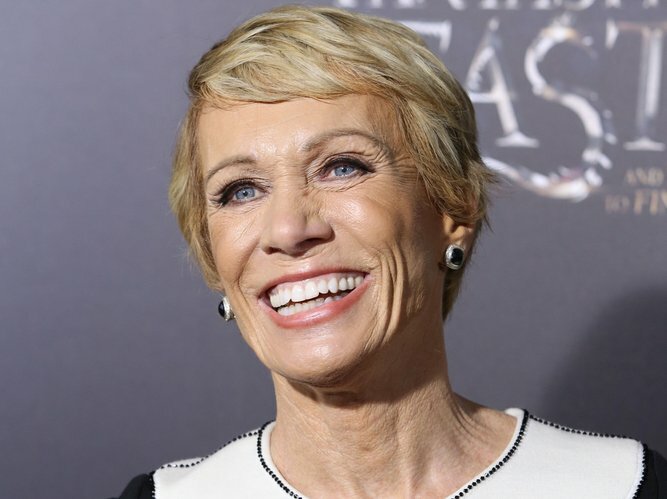 In 2001, she sold the company and has since launched Barbara Corcoran Venture Partners (now called Forefront Venture Partners), that is currently investing in close to 50 companies. In 2018, Corcoran started, and runs, the popular podcast about investing; ‘Business Unusual’. Sonali De Rycker is a partner at Accel Partners, which has offices in London, Bangalore and the Bay Area, California. Based in London, she focuses on consumer, software and financial services businesses. She has led investments in Avito (acquired by Naspers), Lyst, Spotify, Wallapop, KupiVIP, Calastone, Catawiki, JobToday, Wonga, Shift Technology, and SilverRail. She backs entrepreneurs in consumer marketplaces, which involves getting local consumers to change behaviour. 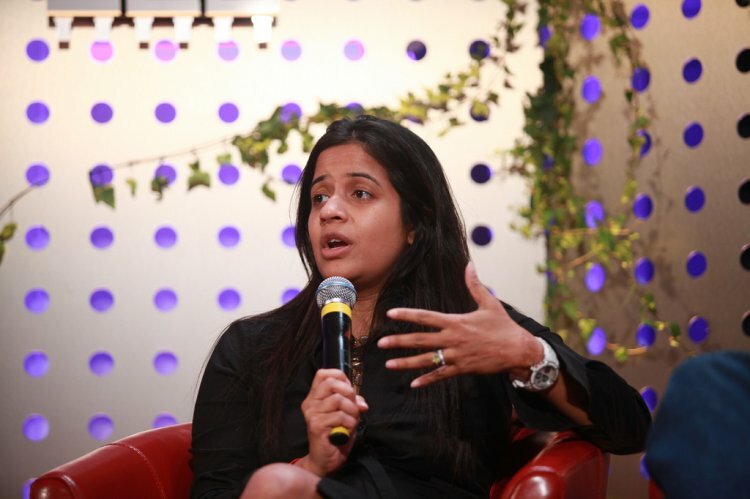 Prior to Accel, Sonali was with Atlas Ventures. De Rycker asserts that it’s not easy for entrepreneurs to expand into other countries from a standing start, but businesses such as Wallapop (a European Craigslist) and Deliveroo have developed playbooks that allow them to expand globally by targeting hyper-local urban densities. Towards the latter half De Rycker, along with others at Accel Partners, was very vocal about and emphasised the dangers of Britain leaving the EU. Arlene gained her popularity due to her appearance on TV, specifically Dragon’s Den, the Canadian version of Shark Tank, where she has been appearing since 2007. Dickinson was CEO of marketing company Venture Communications. 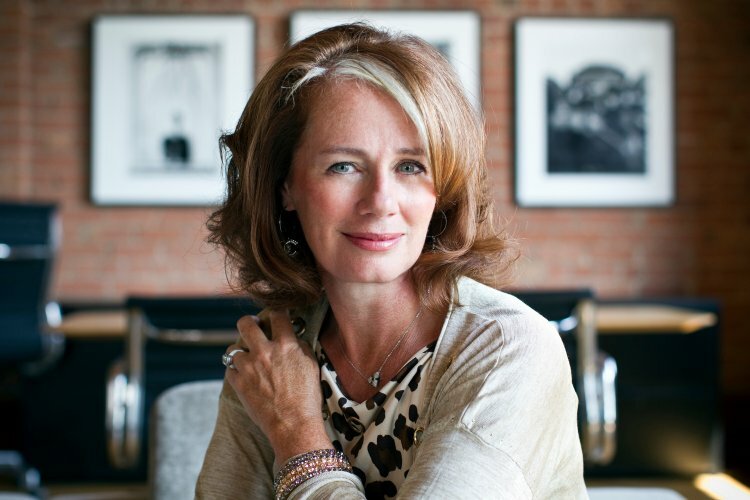 In 2012, she created Arlene Dickinson Enterprises, now called You Inc., to support and fund Canada's up-and-coming entrepreneurs. She's a philanthropist, writer, speaker, and TV personality, not just a leading woman investor. Presently, Dickinson serves as the managing general partner for District Ventures Capital – a venture capital fund focused on investment in the health and consumer wellness sector. Sophie Dingreville is an engineer and a self-described strategy consultant with a multicultural background. She has more than 15 years in the venture capital industry and is now based in London as the Munich Re Group's investment director. She leads the reinsurer's corporate venture capital activities in Europe and its subsidiary Hartford Steam Boiler, an engineering and insurance firm specialising in equipment breakdown coverage, and data and cybersecurity. Dingreville aims at finding leading digital champions with a focus on insurtech, industrial IoT, data analytics and artificial intelligence. Dingerville, who has been investment director for almost two years now, has invested in: Bought By Many, Fraugster, Relayr, Mnubo, Augury, Hippo, Slice Labs, Trov, Next Insurance, Ridecell, We Predict, and Team8. Tracy Dorée was a founding partner of Kindred Capital in London, which claims to have a unique model of venture capitalism. In London newspaper City AM, it described itself as ‘an equitable venture' where every founder, invested in by Kindred, becomes a co-owner of the fund. Dorée is an entrepreneur who seeks other entrepreneurs with spirit. Over the past decade she has founded, sold and exited her first venture (LLUSTRE, acquired by Fab.com) and invested in early stage UK companies. At the moment, she is an angel investor, whose portfolio includes: Gousto, Meatable, Enki Labs, Farewill, CrowdJustice, Paddle, Fy!, and Unmade. Marie Ekeland is co-founder of Daphni, which defines itself as a ‘venture capital mutant that loves startups, enthusiasm and cookies'. Who are these mutants? Apparently, an alliance of ‘investors, community builders, platform makers, trend writers and a lazy-but-truly-amazing dog'. As Ekeland noted in a presentation at NOAH16, the venture capital space has a lot of new actors and they are now part of a different and disruptive landscape. Daphni's new value proposition is about bringing innovation and scale. Ekeland was also co-founder and vice-president of France Digitale, an association bringing together founders and investors to develop the French digital ecosystem. 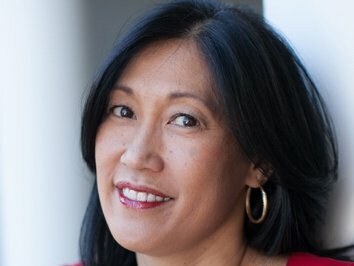 She began her career at JP Morgan in New York as a computer scientist and in 2000 joined CPR Private Equity as a venture capitalist. 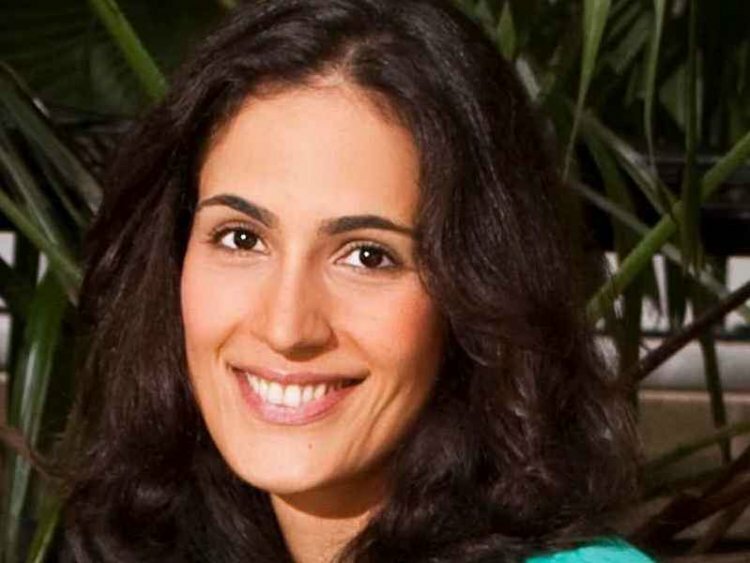 At Elaia Partners she led investments in Criteo, Edoki Academy and Ykone among others. It was announced in 2018 that Ekeland is developing Daphni, opening new funds. The firm’s current portfolio includes: the food tech company Lunchr, the fintech company Shine, and the ed tech company Holberton School. 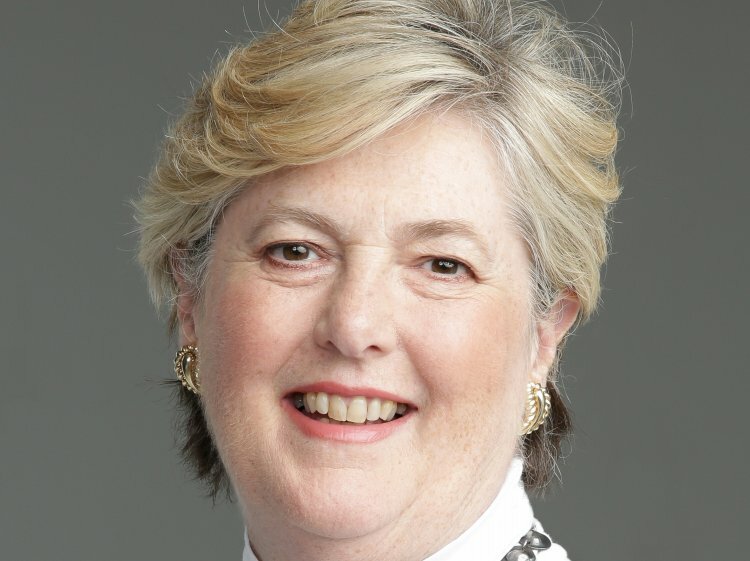 Mary Callahan Erdoes is a stalwart of any list of the best-paid women in finance. Her earnings are approximately $18.4m as of the fiscal year that ended in 2016, when she held the position of CEO of JP Morgan Asset Management. With her CFO Marianne Lake, she launched the JP Morgan Asset Management Re-Entry Program, which recruits women who left the financial arena for family reasons to return back to their careers. Callahan Erdoes was ranked 33rd on Forbes’ Power Women list 2018, partly due to the growth of assets under management to $2.1 trillion as of June 2018, up 8.1% from the previous year. 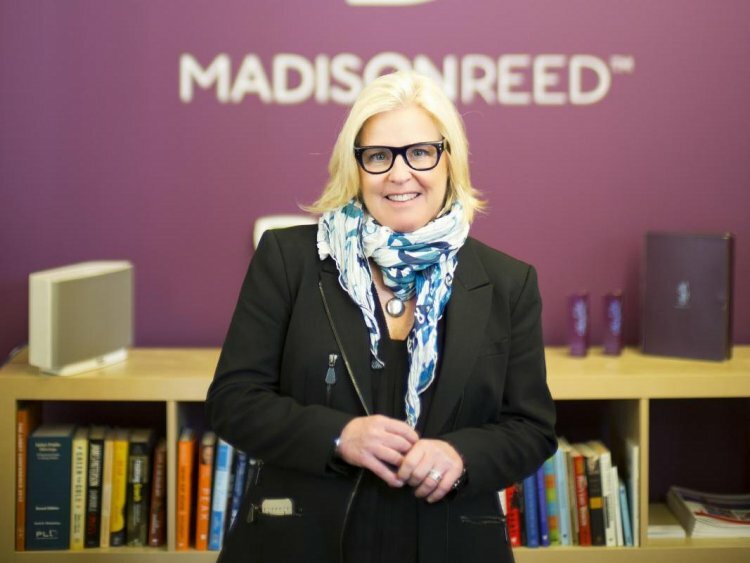 Amy Errett did a reverse move from venture capitalist back to entrepreneur and is now CEO of online hair colour company Madison Reed – her fourth company. Prior to this role, she was general partner of Maveron, a venture capital firm with a focus on consumer-facing companies, which she joined in 2008. She was also CEO of Olivia, repositioning the travel business as a complete lifestyle company. In 2018, Errett was honoured by the San Francisco Business Times with "Most Influential Women in Bay Area Business 2018" award. Deborah Farrington founded StarVest Partners, in 1998, as a venture capital firm investing in technology companies with a focus on software-as-a-service (SaaS), data and analytics and internet marketing. Farrington has three decades of experience under her belt in venture investing and has held management and operating positions in investment and commercial banking, including as a director of private and public companies. Currently, Farrington sits on the board for the following companies: NCR, CrowdTwist and Snag. 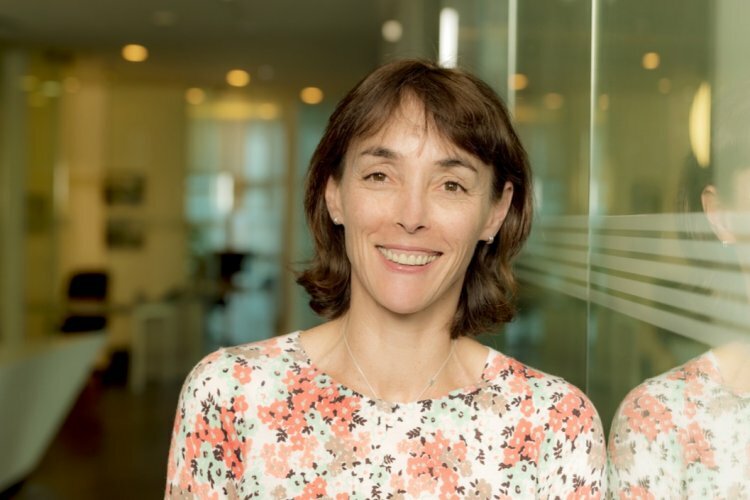 Anne Glover has a wealth of experience in science, operations and venture capital that she leverages as co-founder and CEO of Amadeus Capital Partners. She worked in the US in manufacturing and then in strategy consulting with Bain & Co. In 1989, she returned to the UK, working with Apax Partners to invest in early stage companies. 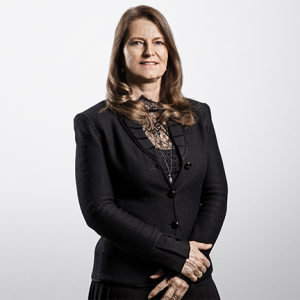 She became Chief Operating Officer of one of companies in her investment portfolio, Virtuality Group, after it listed on the London Stock Exchange in 1993, and returned to investing before founding Amadeus in 1997. She was a member of the European Commission's Research, Innovation and Science Policy Expert (RISE) high-level group. In 2006, she was awarded a CBE for services to business, and in 2008 was elected an honorary fellow of the Royal Academy of Engineering. In 2018, Glover joined the Bank of England’s governing body as a non-executive director. Irena Goldenberg grew up in Ukraine and speaks Russian, French and English. 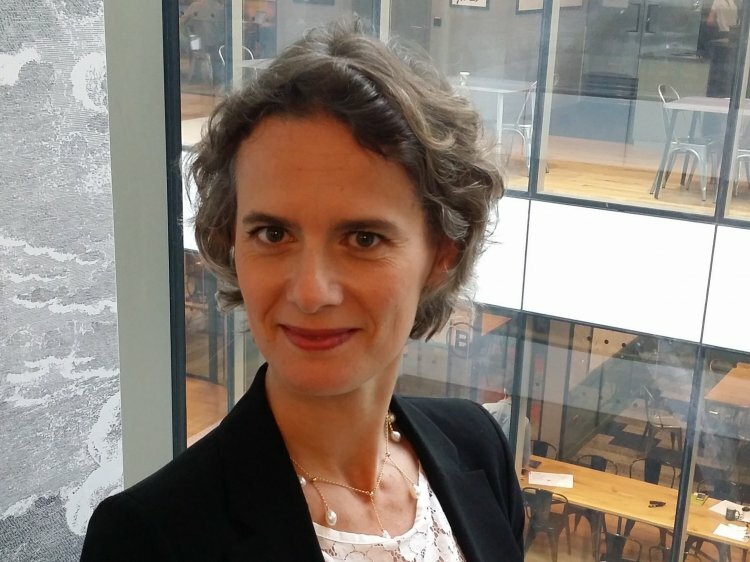 This female investor is a co-founder and partner at Highland Europe in Geneva and invests in growth-stage software and internet businesses that have scale and fast-growing revenue. The company’s investment portfolio includes MatchesFashion.com, WeTransfer, eGym, and Malwarebytes. In 2007, Goldenberg joined the US venture capital firm Highland Capital Partners in Boston. Prior to this, she was at Flybridge Capital Partners and Bain & Company. She also worked at Tata Interactive Systems, developing e-learning applications in Mumbai. In 2017, Goldenberg joined the board of Smartly.io, making that her fifth active board position in a company other than Highland Europe. She also sits on the board of: JUNIQE, WeTransfer, Jampp, and eGym. Beatriz González is the founder and managing partner at Seaya Ventures, a venture capital management company founded in Madrid in 2013. She invests in internet and technology-enabled businesses in Spain and Mexico, and currently lists 15 companies in the company’s investment portfolio. Since 2002, González has been working in the private equity industry and headed the private equity programme in Telefonica's pension fund for six years. Presently, alongside her role at Seaya, she sits on the board of directors of the companies Cabify and Glovo App. Theresia Gouw is an engineer and and a co-founder of Aspect Ventures. She has been featured six times on the Forbes Midas list. She specialises in cyber-security technology, data analytics, and consumer opportunities. Her investment portfolio includes Cato Networks, which offers next-generation security services on demand, as well as Exabeam, ForeScout, SelfScore, BirchBox, and BaubleBar. One of her more recent investments has been in The Muse, which targets millennials with career advice. In January 2018, Aspect raised a $181 million second fund with the support of Melinda Gates and Cisco CEO Chuck Robbins. Gouw is ranked 89th on the Forbes Midas list for 2018, meaning she is the 7th highest ranked woman on the list. Kirsten Green made the Forbes Midas List in 2017 for two high-profile e-commerce exits: Unilever's acquisition of the razor subscription service Dollar Shave Club for $1bn in July 2016 and Walmart’s taking-on of the e-commerce site Jet.com for more than $3bn a month later. Green's Forerunner Ventures was the only VC firm with the foresight to invest in both. Her firm has invested in more than 40 startups. In June, Forerunner closed a $122m fund, its third and largest, bringing its total raised to $242m. In 2018, Forerunner Ventures announced that it had secured $360 million – making it one of the largest funds raised by a woman-founded company. Green is ranked 77th in the Forbes Midas list 2018, making her the 6th highest ranking woman on the list. Claire Houry has been a general partner at Ventech since 2008, focusing on internet/mobile services and software. Ventech looks for what it calls disruptive innovation in the digital economy – breakthrough technology and new types of usage combined with smart business models. She started her career in project financing activities at Crédit Lyonnais in France and the US. Houry helped start the venture capital department of Crédit Lyonnais, leading investments in companies such as Musiwave (sold to Openwave), and Meiosys (sold to IBM). Presently, Houry also sits on the board of French firms mediarithmics and Botfiy. 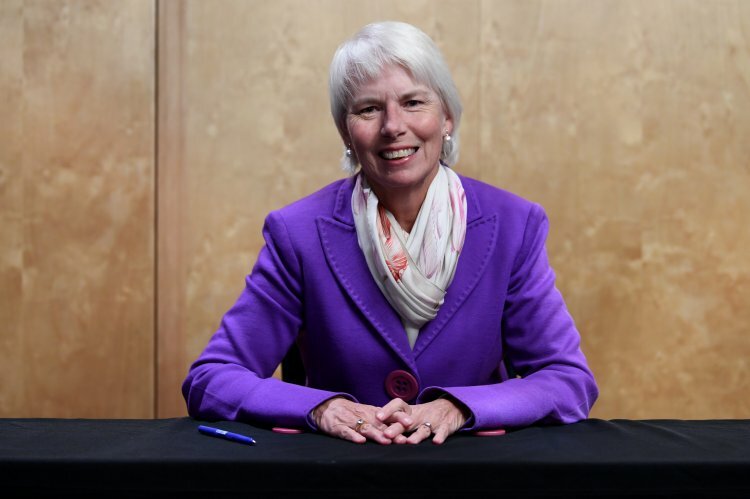 Gail Kelly is one of the top women investors in the world. In 2014, as CEO of Westpac in Australia, Kelly was named by Forbes as the most influential woman in finance in Australia and the 56th most powerful woman in the world. Back in 2010, Kelly set a goal of having 40% of Westpac's 4,000 managerial roles occupied by women. She fulfilled her ambition two years earlier than planned, and then raised the target to 50% by 2017. She retired from Westpac in 2015. In December 2018, Kelly was appointed to the board of Singtel. She is also a senior global adviser to UBS and a member of the Group of Thirty, Bretton Woods Committee. Sallie Krawcheck’s name is synonymous with powerful women on Wall Street. She was a former CEO of Citigroup's Smith Barney and president of Merrill Lynch's wealth management unit. Now, Krawcheck is making waves as co-founder of new venture Ellevest, a digital investment platform for women. She is also chair of global professional woman's network Ellevate, and of the Pax Ellevate Global Woman's Index Fund, which invests in the top-rated companies for advancing women. Krawcheck is an inspiration to other women investors, with her book: ‘Own It: The Power of Women at Work'. Krawcheck regularly promotes gender equality in finance at conferences around the world. 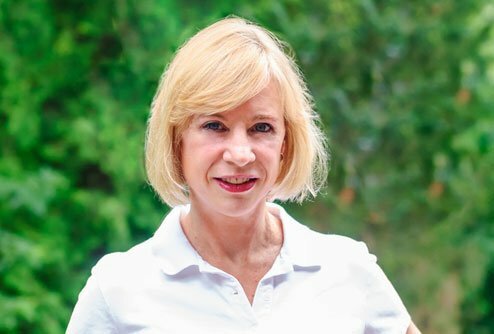 Joan Lamm-Tennant occupies a specialist area as CEO of Blue Marble Microinsurance – a corporate entity formed by insurance and reinsurance companies that strive to provide insurance for the underserved in developing countries. Lamm-Tennant has lengthy experience in insurance and reinsurance companies and was previously the global chief economist and risk strategist of Guy Carpenter & Company. In October 2018, Blue Marble Microinsurance, alongside Nespresso, launched a pilot weather index insurance programme for smallholder coffee farmers in Colombia. Avid Larizadeh Duggan is the general partner for GV (launched as Google Ventures in 2009), which is the venture capital arm of Alphabet. GV funds companies in life science, healthcare, artificial intelligence, robotics, transportation, cyber security, and agriculture, and provides access to Google facilities. Larizadeh Duggan, who speaks French, English, Farsi and German, is an entrepreneur and investor who's been involved in startups since 1998. She co-founded Boticca, a global marketplace for fashion accessory brands (acquired by Wolf & Badger in 2015), and started investing at Accel Partners in London in 2006. She has been an early investor in many companies, including as an angel investor in Okta, and has worked in product management roles at Tellme Networks, eBay, and Skype. At eBay, Larizadeh Duggan was granted a patent for her work on a suite of selling tools. She now leads Code.org and the Hour of Code in the UK. 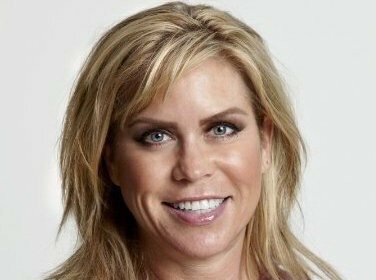 In 2018, Duggan left GV, as the only female general partner, to join a music tech startup called Kobalt. Kobalt is a New York-based music technology company that acts as a publisher and provides royalty tracking services for songs when any sample or whole track is played across various digital platforms. 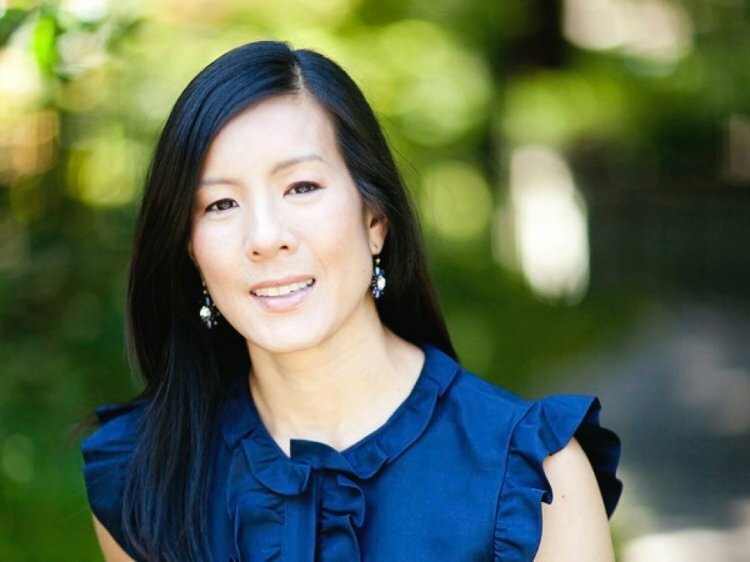 In 2012, Aileen Lee started the angel investment company Cowboy Ventures, having been a partner at Kleiner Perkins Caufield & Byers. Cowboy Ventures’ seed stage investment portfolio focuses on digital technology companies that build products that ‘re-imagine' work and personal life in large and growing markets. The range of investments is extensive and includes startups in enterprise, mobile, analytics, payments, e-commerce and SaaS. It has invested in the teen social network After School, Brava, a domestic IoT and automation company, and Memebox, an e-commerce beauty retailer that offers access to Korean beauty skincare. She is known for first coining the term ‘unicorn’, when describing tech start ups. She defined the term as a US software startup launched after 2003 and worth more than $1 billion. Jenny Lee, like many venture capitalists on our list, is a technophile. Lee is based in China, and her prowess has been recognised by Forbes and Vanity Fair; she appears on Fast Company's Most Creative People in Business list – a lists that recognises many women investors. These accolades are a result of her acquisitions of the China Talent Group, a human resources services provider, the game publisher Gamespedia, and consumer credit loan rating shop U51. As an investor, Lee focuses on "finding and partnering with disruptive technology companies that can change the traditional business models and create new value for users and enterprises". She sits on the boards of several private companies, and has worked at Singapore Technologies Aerospace and Morgan Stanley. Lee was listed as the 87th most powerful woman in the Forbes’ 100 most powerful women list, and 74th on the Midas list – making her the 5th highest ranking woman. Since 2005 Lee has been a managing partner at GVC Capital, and has been instrumental in setting up the GVC presence in China. Rebecca Lynn, a partner at Canvas Ventures, was featured in the Forbes Midas list in 2015 for her part in the largest technology IPO of 2014 for Lending Club. Lynn's focus is on early-stage investments in artificial intelligence, fintech, digital health, SaaS, and mobile. She leads the firm's investments in Casetext, CrowdFlower, HealthLoop, and Vida Health. She led Canvas's investment in Luminar, as well as the exit of FutureAdvisor, which was acquired by BlackRock. Since then, Lynn has been ranked #31 on the Midas list for 2018, making her the second highest ranked woman on the list this year. She is active on the boards of the Economic Innovation Group (EIG), UC Berkeley’s SkyDeck, and Signature Innovation Fellows. Fern lectures at Stanford Graduate School of Business and is a managing partner at Vista Venture Partners. Her angel investments extend to companies that help others reach their potential. Her investment portfolio includes Guild Education, BetterUp, MissionU, Andela, Sparta Science, Pique Tea, Tinkergarten, Vocate, Fauna, GridSpace, popchips, and PicnicHealth. She is an adviser to Accompany, Pair Eyewear, ClockWise and HelloAva. In 2018, Mandelbaum campaigned for inclusiveness of gender and race in enterprise, and started teaching a new module at Stanford called ‘Equity by Design: Building Diverse and Inclusive Organizations’. 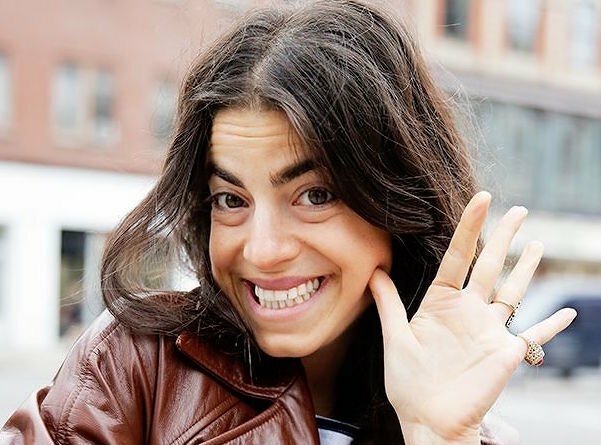 Leandra Medine, still in her twenties, founded the fun fashion and lifestyle blog Man Repeller and turned it into a multimedia company. Her recent forays as an entrepreneur are investments in womenswear label AYR and the skincare brand Drunk Elephant. Her advice to anyone inclined to lead their own company is: "Check your ego at the door – and I mean that in both directions: whether it's inflated or deflated. Don't make it about you, because you won't be able to succeed if you do. "It is mandatory that you are building something or doing something for the greater good of someone/thing beyond just your personal appeasement. You drown in your own puddle if not." Medine is attributed with redefining fashion’s ‘front row’, and has collaborated with a long list of fashion brands, including Maje, Michael Kors, Maje and Saks Fifth Avenue. 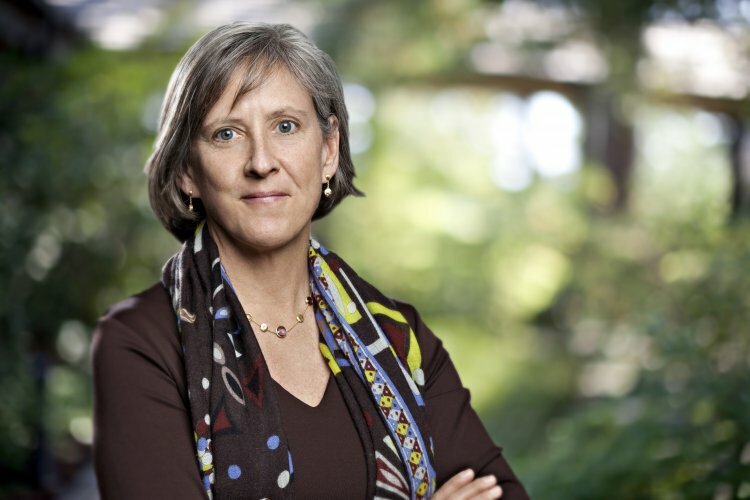 Mary Meeker is the highest ranked woman on the Forbes Midas List and has also featured on the Power Women list. 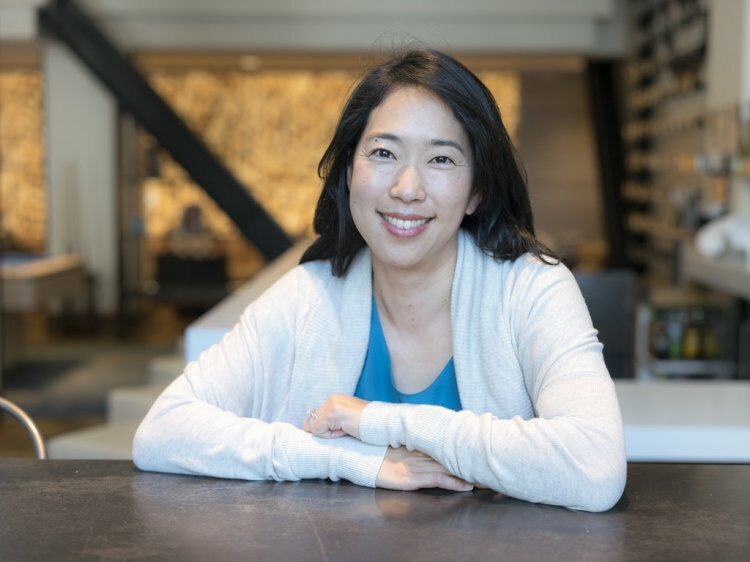 She began her career in 1986 as an analyst and she is now a general partner at Kleiner Perkins Caufield & Byers, where she leads Digital Growth Funds, targeting high-growth internet companies. The firm's investments include Airbnb, Pinterest, Instacart, Snap, Spotify, LegalZoom, Jawbone and Affectiva. She has led investments in Bitstrips (acquired by Snap) and Waze (acquired by Google/Alphabet). Every spring she publishes her Internet Trends report – an industry bible that forecasts the direction of the tech field. Her report this year included Spotify and DocuSign that both filed to go public in March 2018. Last year she was appointed the only woman on the board of the PGA tour. Inka Mero is an entrepreneur, angel investor and new business executive who lives in Finland and founded Pivot5 (formerly KoppiCatch). She has co-founded four firms and has invested in more than 30 companies in consumer internet, mobile and analytics/e-commerce. Alongside her list of successes, she acknowledges the failure of one of her three startups. Her LinkedIn page reads: "Succeeded big time with two startups/companies, failed with one startup. I know what it takes to make it to the black numbers, and grow a business from 30 people to 500+." Currently, Mero is the chairwoman and partner of the innovation-driver services firm; Industryhack. Ann Miura-Ko, like Fern Mandelbaum, is a lecturer as well as an angel. She lectures at Stanford University's School of Engineering, where she obtained her PhD in mathematical modelling of computer security. She also co-founded Floodgate, which landed her on the Midas List in 2017. Her father is a rocket scientist at NASA and she developed a passion for robotics and technology startups from an early age. At Floodgate, the focus is on technology ‘prime movers' in e-commerce, radical science and big data. Investments include Lyft, machine intelligence software maker Ayasdi, digital media company Refinery29, and Xamarin, bought by Microsoft in 2016. She was ranked #55 on the Midas list in 2018, making her the 3rd highest ranked woman on the list this year. The Palo Alto native is one of the founders of All Raise, the women in venture capital group with the aim to add more female funders, and the subject of Forbes' April 2018 cover story. Lubna Olayan, a stock market investor from Saudi Arabia, has been CEO of the Riyadh-based Olayan Financing Company for the past 18 years. The company, which was founded by her father, is reported to have annual revenues of $7bn. It operates in distribution, manufacturing, services and investments across the Middle East and is one of the largest investors in the Saudi and regional stock markets. 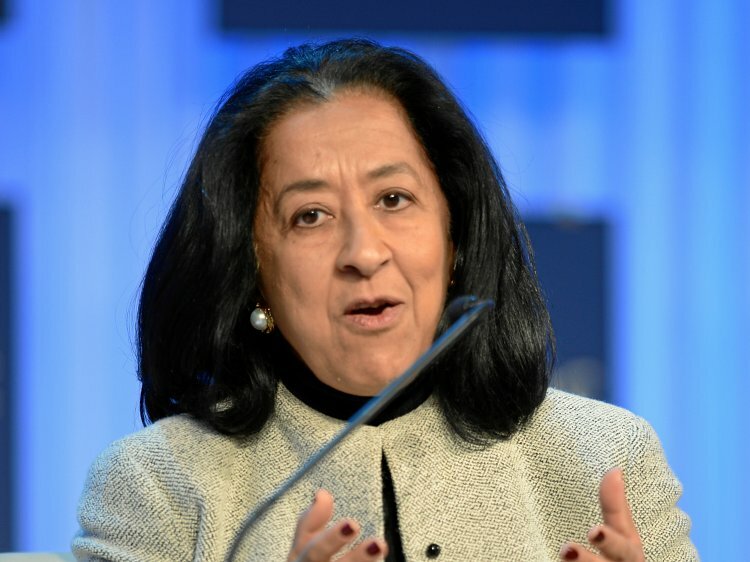 In October 2018, Olayan was appointed chairwoman of what will be the third-largest lender in Saudi Arabia, following the merger of Saudi British Bank and Alawwal Bank. She has been deputy chair of Alawwal Bank since 2014. She will be the first woman in her country to run a publicly traded bank. Reportedly she is considering issuing stock shares in some of her company’s assets in an attempt to make the Saudi economy less oil dependent. She was ranked in 58th place in the Forbes Most Powerful Women in Business list 2018. 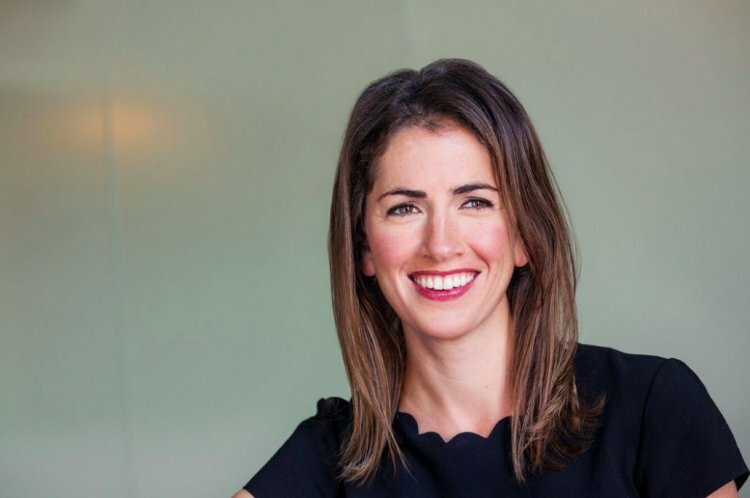 Megan Quinn is interested in transformational investments as a general partner at Spark Capital – "world-changing entrepreneurs to design, build and scale transformative consumer products and companies". Quinn was previously a partner at Kleiner Perkins Caufield & Byers, leading early-stage and growth consumer investments. She has also been involved in product development at Square and Google. Now leading Spark's growth team, her investment portfolio includes the lending startup company Affirm, the student recruiting platform Handshake and the user behaviour analyst Pendo. As well as this, she is also a technical to the board at HSBC. Renata Quintini, born and raised in Brazil. She joined venture capital firm Lux in February 2017 and looks for investments in companies that use technology to improve lives. Prior to joining Lux, Quintini was a partner at Felicis and has worked with startups including Planet (satellites), Cruise Automation (acquired by GM), Bonobos, MetroMile and Swift Navigation (autonomous vehicles). Linda Bradford Raschke lists herself on LinkedIn as a private investor. 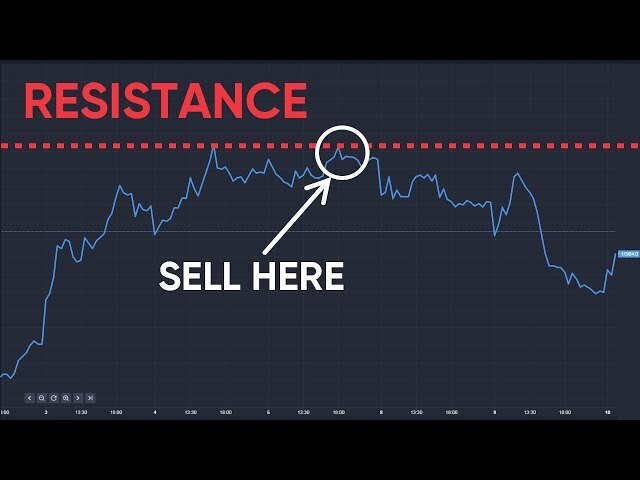 She began as a professional trader in 1981, working as a market maker for stock options. Although Raschke retired in 2015, two companies' names carry her initials – LBR Asset Management, a commodity pool operator that uses technical analysis, and a money management group LBR Group. Raschke also authored a book on trading futures with Larry Connors, called Street Smarts. Presently, although Raschke is retired, she still writes books and commentary relating to her professional experience throughout her life. Salzer studied her undergraduate, and attained her MBA, from the University of California, Los Angeles (Anderson School of Management for her MBA). Until recently, Kimberly Salzer was the chief marketing officer at US high-speed transport system business Hyperloop One. Now, she's chief marketing manager at robotics company Ozobot, which builds small robots to teach coding to children. Salzer's investor interest is in high-growth potential companies and she has provided seed investments in new ideas and organisations such as Female Funders and toot app. Ruchi Sanghvi was the first female engineer at Facebook. 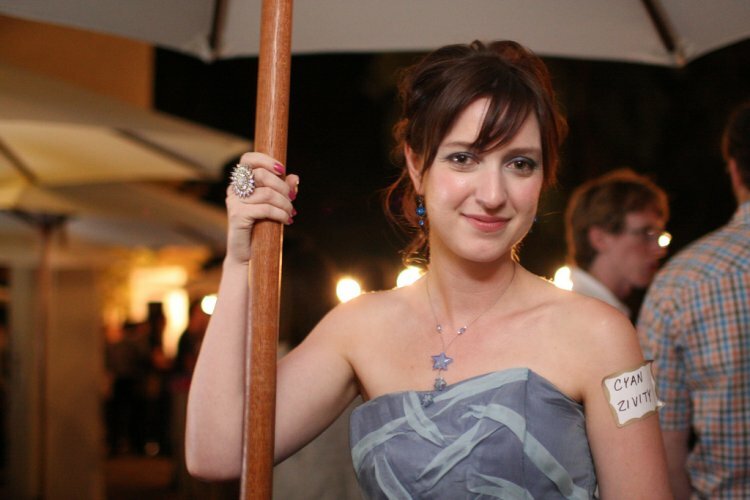 She then co-founded Cove, before moving on to Dropbox as its VP of Operations. Sanghvi now makes personal investments in health tech and healthcare management companies, her most recent being Bangalore-based CureFit. Her investment portfolio includes companies such as New Delhi-based Hike, a mobile app that allows users to communicate through voice calls and text messages; workplace collaboration application Asana; and Click & Grow, which developed self-sustaining smart pots for plants. In January 2016, Sangvi founded South Park Commons, part startup community, part intellectual club, which raised a $40 million seed fund. Reshma Sohoni is a partner and co-founder of Seedcamp, which was set up in 2007 to fund pre-seed and seed-stage startups. The firm currently invests in more than 200 startups worldwide in several sectors. Sohoni has a degree in engineering and business, and has worked in M&A and venture capital across B2B software and internet services businesses in the US and India. She says she fell in love with Europe after studying at INSEAD and stayed on to work in commercial and marketing strategy at Vodafone. In April 2015, Sohoni became a senior advisor to Anthemis Group, a position she still holds. 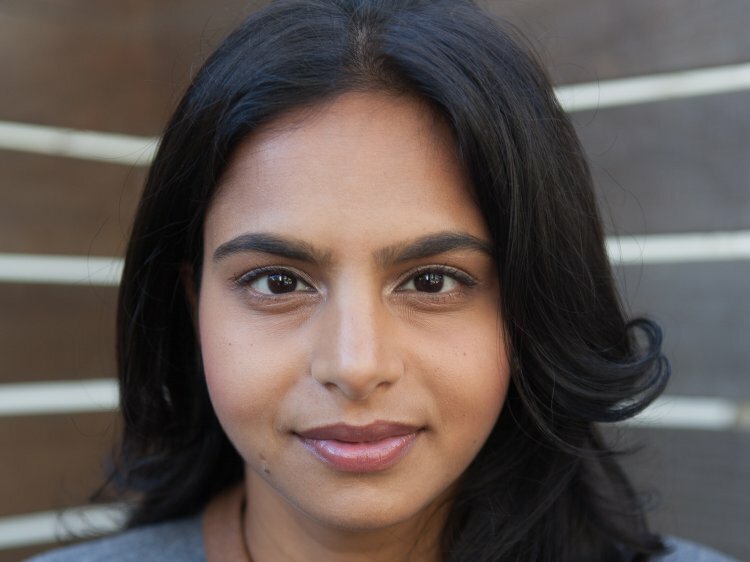 Sitar Teli has been a venture capitalist for more than a decade and is a partner in Europe-focused seed provider Connect Ventures. Focusing on the power of product to transform, Connect has so far backed 36 companies and invests only in founders who are ‘instinctive on product'. Teli specialises on early-stage investments in consumer and B2B companies. She has also worked with Doughty Hanson Technology Ventures, where she led SoundCloud's Series A funding round. Born in San Francisco in 1926, Geraldine Weiss graduated from University of California, Berkeley, in 1945. Geraldine Weiss is known as the ‘Grand Dame of Dividends' or the ‘Dividend Detective' for her investment style, where dividends were the true measure of value of stocks. From 1966 until she retired in 2003, she edited and published a newsletter, Investment Quality Trends. Her dividend-based investment system is still in use. She authored books including Dividends Lie: Finding Value in Blue Chip Stock, and the Dividend Connection: How Dividends Create Value in the Stock Market. Joanne Wilson has put her wide experience to use as an investor. She began working in retail and wound up working on the media side of the technology industry. In 2007, she found another avenue with her first angel investment. Wilson now has an investment portfolio of more than 90 companies that focus on female entrepreneurs. She describes the decision as "more practical than philanthropic. Women founders tend to be tenacious and thorough. They ask questions and listen. They are great leaders." She invests in a range of companies, from the DIY flower delivery firm ItsByU to luxury cannabis brand Beboe and even a firm delivering cannabis to older people, Octavia Wellness. She has also created the Women's Entrepreneurs Festival. Presently, she still invests in startups, as well as running the blog gothamgal.com. Alice Zagury tells it as she sees it on her investment website The Family. Her pitch to founders reads: "I believe in doers with empathy. Hot-headed warriors with design skills are my favourite teams. The more you've been through, the closer you are to becoming an awesome founder…". A Parisienne with a background in creative arts, Zagury became involved in a non-profit organisation that used digital innovations and loved it. She launched Le Camping, the first startup accelerator in France, and started The Family with two partners who "wanted nothing other than to kill the toxicity of the French tech environment". Zagury does it by looking "to design an ambitious infrastructure for startups, scaling education, tools and access to capital in order to create billion-dollar startups." She is often attributed to reinventing France’s ‘toxic’ startup scene, where she is a powerful player and her achievements are known even outside of France.